The meetings started at the city hall of Eindhoven with welcoming remarks from Mikke Leenders. 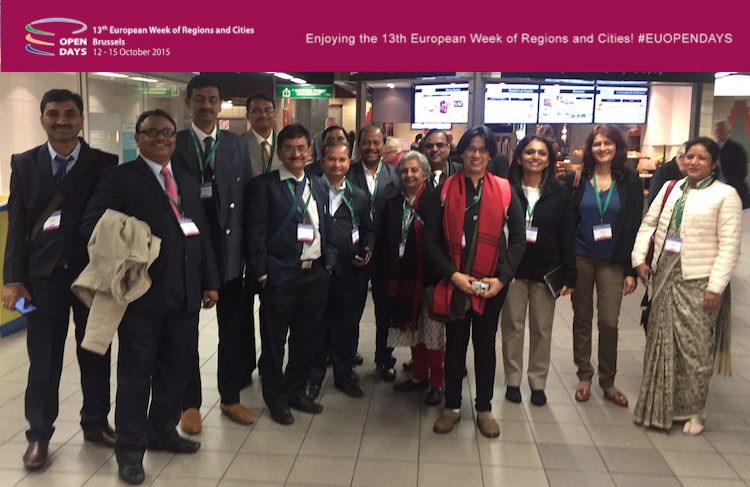 He briefly introduced Eindhoven’s key initiatives in regard to smart city / society, eGovernance and lighting. 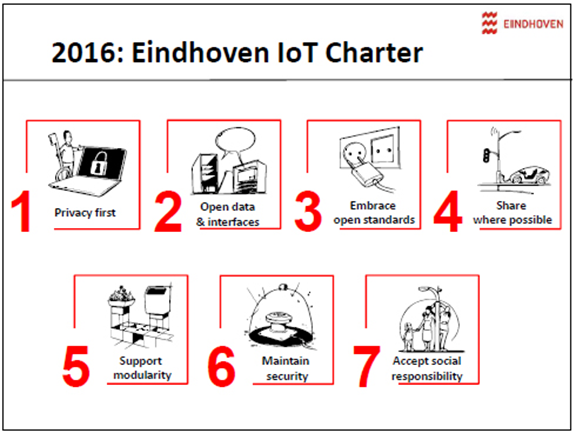 Guus Sluijter described Eindhoven’s IoT Charter and Digital Principles followed by the presentation “Eindhoven: From Smart City to Smart Society”. Eindhoven’s Smart Society strategy aims to use data and smart technologies to improve live in the city focusing on people, partnership, co-creation and experiment. Through a joint approach with key stakeholders (e.g. 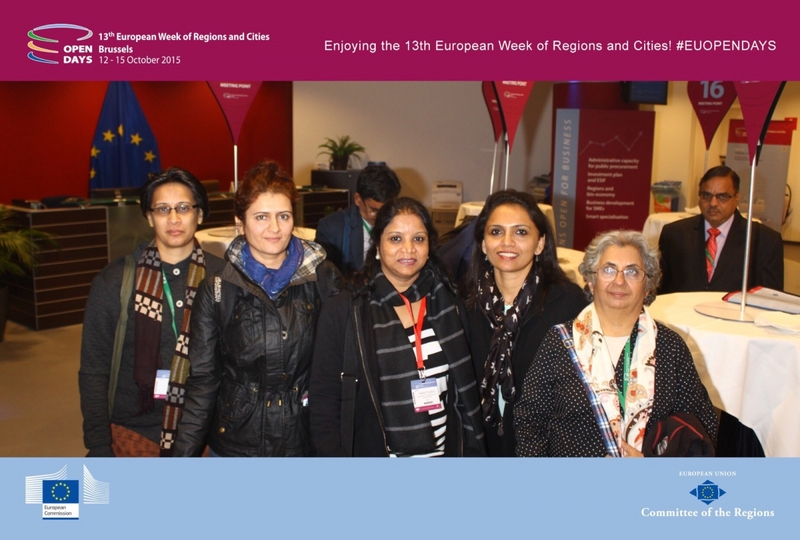 citizens, academia, city administration and private sector) the city of Eindhoven is implementing various living labs in designated areas. The aim of the living labs is to develop and co-create innovative solutions that can later be scaled up. Jaap Strating presented Eindhoven’s innovative procurement approach for public lighting. The city initiated a tender process in which a consortium (Philips Lighting and Heijmans) was selected to establish a living lab on public lighting. The living lab aims to develop innovations for the Vision & Roadmap Public Lighting Eindhoven 2030. 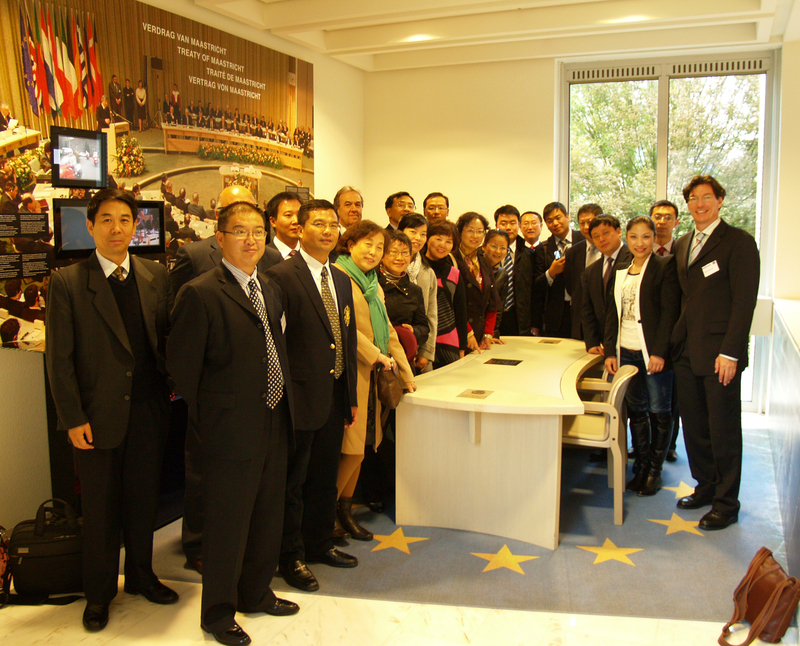 Eindhoven and Seoul also shared their experience on eGovernance. Ruben Venis introduced current initiatives of citizens’ participation in Eindhoven. The city has identified four focus groups whose relation to the city is characterized as vitality, harmony, control and protection. Heemin Moon presented Seoul’s M-Voting Initiative. Afterwards participants from the two cities discussed technical details of M-Voting and the potential of replicating a similar solution in Eindhoven. 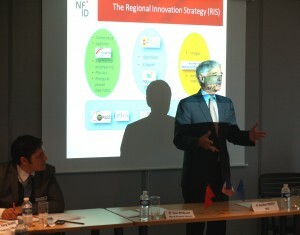 Anthony van de Ven presented Brainport. As a response the economic crisis in the 1990s leaders from local government, private sector, research and academia established Brainport which has transformed the region into a high-tech center and economic powerhouse. 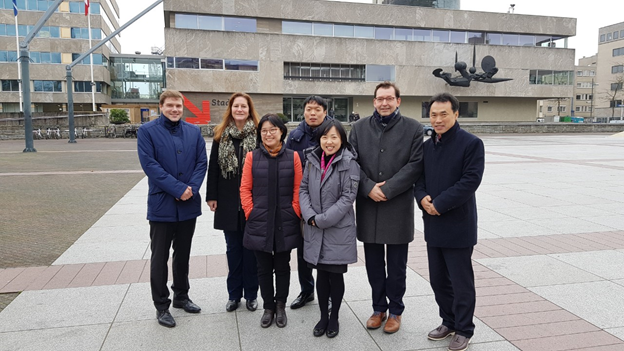 Seoul’s delegation visited Eindhoven’s High Tech Campus where they met Remco Muis from Philips Lighting to find out more about the latest lighting technologies and intelligent lighting infrastructure. Remco Muis informed participants about the lighting labs that are being coordinated by Philips Lighting and Heijmans as part of Eindhoven’s 2030 Roadmap for Public Lighting. Currently Philips is conducting five lighting living labs – three labs in residential areas and two labs at major roads to improve traffic safety – for a period of five years. In the lighting living labs new strategies in the field of intelligent lighting are being tested and co-developed with citizens and other key stakeholders. 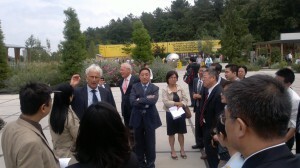 This was followed by a discussion in which Dae Gwun Kim briefly shared similar initiatives from Seoul. Both cities are currently developing their intelligent lighting infrastructure, connecting urban lighting with ICT and Internet of Things (IoT) related services as well as data collection of air quality, noise, moving patterns of pedestrians etc. Marcel de Pender introduced his work with Slimmer Leven 2020 Innovation Network for Active and Healthy Aging. The organization is running a living lab that has developed projects such as “Innovative Dementia” and “Cross Care” that are aiming to improve quality of life for people with disabilities. Jonas Onland presented Eindhoven’s plans in regard to the digital transition and the EU Urban Agenda. 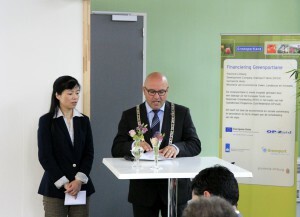 Eindhoven is partnering with other EU cities in order to develop urban solutions for the digital transition. Key enabling technologies (KET) such as 5G play a crucial role e.g. in regard to autonomous driving. Eindhoven and Seoul expressed their interest the pilot KET through the living lab approach. After the earlier meeting with Philips Lighting, Eindhoven and Seoul further discussed the topic urban lighting. Rik van Stiphout presented Eindhoven’s Roadmap for Intelligent Public Lighting. Both cities are actively involved with Lighting Urban Community International (LUCI). Seoul is hosting LUCI’s regional Asia Office. Eindhoven is leading LUCI’s international working group inter-operability for lighting in order to prevent vendor lock-in. 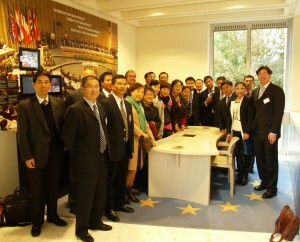 The working group plans to cooperate with Seoul. SMG’s delegation visited the living lab Stratumseind. Stratumseind is a street with many bars that is highly frequented on weekends and plays an important role for Eindhoven’s night life. The area had faced challenges in regard to safety and violence (often under the influence of alcohol). The living lab aims to improve safety and prevent violence in Stratumseind. Currently various data is collected via sensors (walking patterns and noise of pedestrians) and different colours and intensities for the street lighting are being tested in order to find out what measures have an de-escalating effect.